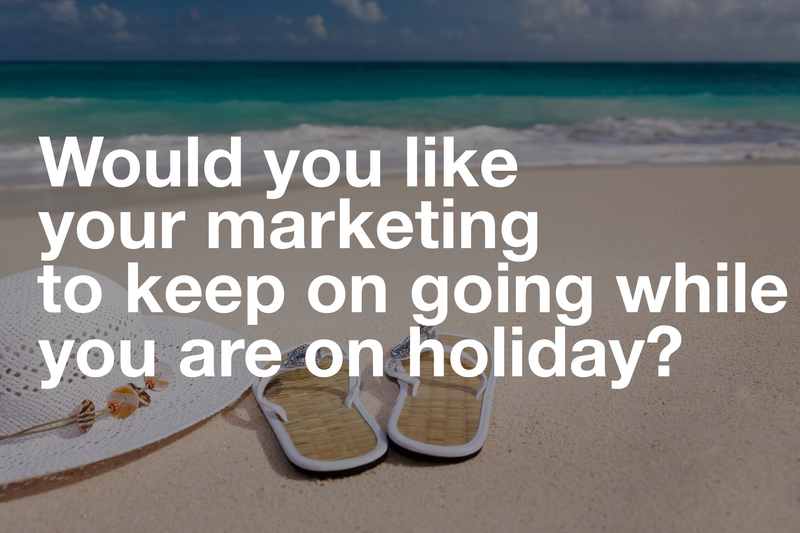 What happens to your marketing when you go on holiday? During this time of year, people take time off to spend with their family as the children break up and one of the first things that can stop is your marketing. What can stop your marketing? Your staff goes away on holiday and you get swamped doing their work and yours. Your staff does the social media and they don’t tell you that they haven’t done it. Staff tells you they are doing it but they don’t! A staff member is sick and you have to cover their roles as well as yours. These things happen more than you think. With over 15 years of experience working in shops, I have seen this time and time again. This can also happen in busy periods of the year (but as you know when these will be, you will plan for these better) or when people are off sick (which you can’t plan for). You need to have a plan! It might sound simple but if you have a yearly plan that is split up into months then you know what is coming up. If you can then split the month into weekly messages then you can look at what is being sent out and know what’s coming up. You can also keep an eye on what is going out and ask before they go on holiday if they have covered the social media? While they are away, you should check this every day and respond to messages as they come along. So, are you worried you can’t take any time off because the marketing will stop? Don’t be as I can help! If you need cover for 2 weeks or more then let me know. I can come into your business and look at the messages you are sending out and cover the social media till you need it. The price of doing it per week will depend on how many platforms will be managed. It can start with £25 per week (cheaper than spending hours trying to do it yourself or not doing it at all!). During peak times of the year. Just because you don’t want to do it! (You time is better spent talking to new customers and gaining more business). If you need a hand then I’m here. Give me a call on 07866602507 or email me on info@leamingtonhour.co.uk. Previous postIf I was exhibiting at Art in the Park next weekend, What would I do on social media? Next postHow are you improving yourself in 2017?